SmartSpace Software Plc (LON: SMRT), the leading provider of ‘Workspace Management Software’ for smart buildings, commercial real estate, hospitality and retail, has today announced a new commercial global partnering agreement with Evoko, a leading Swedish-based manufacturer of meeting room display panels. Evoko is seen as a leader in the meeting room display panel market. Operating at the premium end of the market, Evoko offers innovative products with superior usability and with a better design than its competitors. Selling across the globe in over 100 countries, Evoko sells its products via a global network of over 80 distributors and hundreds of reseller partners. SmartSpace has created an Evoko-branded version of its ‘Calendar’ software application. 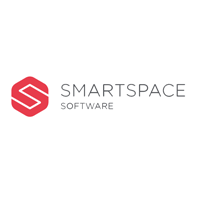 Providing the user with enhanced functionality, SmartSpace’s software integrates seamlessly with Liso enabling end-users to get more from their Liso panels. With Evoko’s global installation base of meeting room panels already installed, and via an existing network of distributors and resellers, SmartSpace will have access to a previously unexploited market as Evoko provides its new Liso Calendar Add-on offering.